After launch of Samsung Galaxy gear smart watch, Sony introduces the next version of its Smart watch; Sony named it Smart watch 2. It’s priced at Rs 14,990. It is only compatible with android phones, it is just like remote control of your android phones, and this smart watch is able to control all features of android phone. You can view SMS, Emails, notifications, who is calling. When you are using Bluetooth headsets, you can make call and receive call through smart watch 2. Smart watch 2 is also a water resistant device which makes you to access all features in the rain. After all Smart watch 2 is a watch, that’s why it shows time, you can choose different faces, you can also choose Analog look to Digital look. 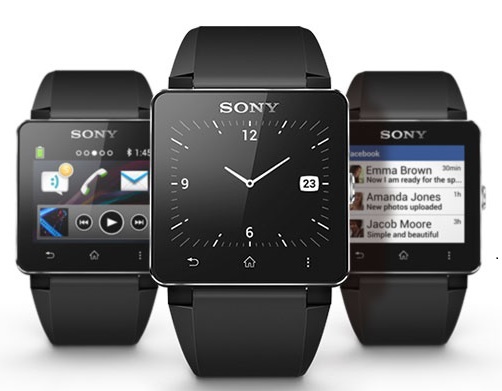 Smart watch 2 is compatible with phone and tablet which have Android 4.0 or later OS. There is an Aaps available on Google play for connecting this smart watch to Smart phone or tablets.